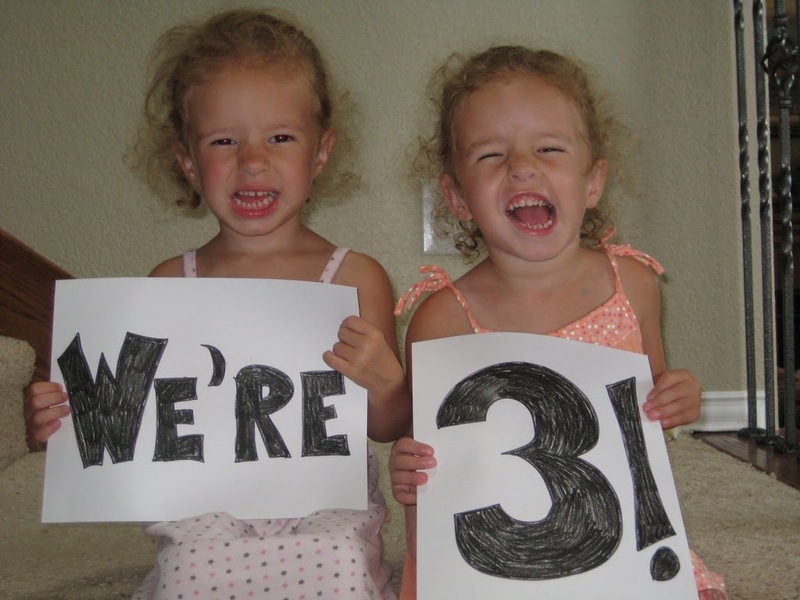 Our girls turned three today. 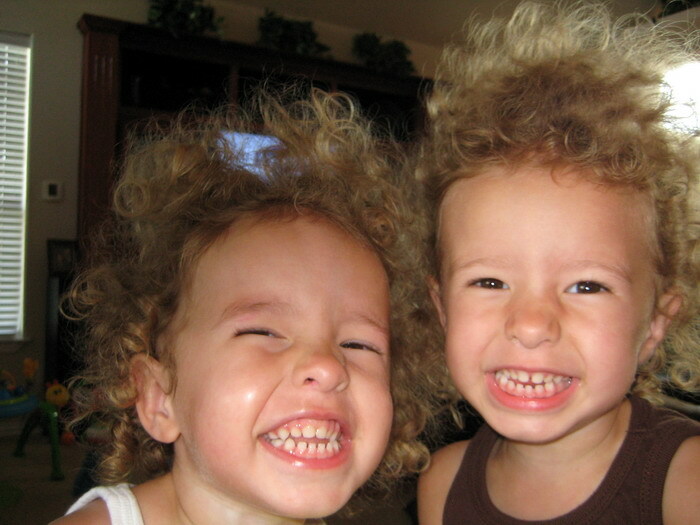 No more diapers, no more passies, no more babbling, no more whinning…..ok that isn’t gone yet, but our babies are…well…now little girls. Sniff, sniff, and yeah all at the same time. Look for them on Fox4 GoodDay this Thursday! See photos from their birthday weekend here. It was 25 years ago when dad decided we were going to ride out the oncoming Hurricane Alicia in our Houston/Galveston area home in 1983. To this day I have incredible memories of that night. It was scary and exciting all at the same time. I remember the wind coming on strong for hours, then the eye of the storm came and my friend across the street and I tossed a Nerf football for awhile. Then the winds changed directions and night fell as the amazing storm passed over our house in Friendswood. We had tornadoes in our neighborhood, trees fell, and floods were everywhere as we hid in our hallway all night long listening to the increidble constant roar outside of 120+ mph winds. Just dad, mom, me, sis and the dog. Alicia, in August 1983, was the first hurricane to make landfall on the U.S. mainland since Hurricane Allen hit South Texas on Aug. 9, 1980. 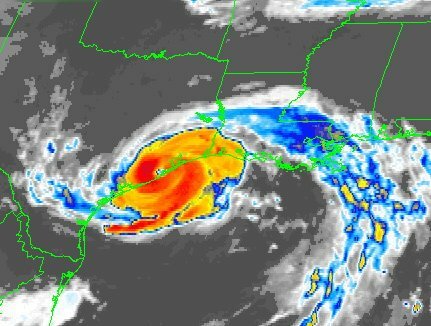 After forming just south of Louisiana on the Aug. 15, 1983, Alicia drifted westward and intensified quickly into a Category 3 hurricane before making landfall on the west end of Galveston Island in the early morning hours of Aug. 18. The highest winds recorded on land were 96 mph sustained, and gusts were up to 127 mph. The lowest barometric pressure recorded on land was 28.55″ at the Alvin weather service office. Rainfall amounts exceeded 5 inches in most places, and the east side of Houston received almost 11 inches. The highest storm surge was a 12′ reading at Seabrook on Galveston Bay. On the gulf side of Galveston Island, tides were 7.5′, and on the bay they were 8′. Baytown, on the north shore of Galveston Bay, recorded a 10.7′ tide which put water on the rooftops in the Brownwood subdivision. Severe freshwater flooding was minimized by Alicia’s fast movement inland, and most damage was the result of wind and storm surge or a combination of the two. Twenty-three tornadoes were reported during Alicia. 14 occurred between Galveston and Houston as the storm made landfall, and the other 9 touched down the next day between Houston and Tyler. All but 2 of these were small, with winds between 40-72 mph. The strongest tornado occurred near Tyler, in Northeast Texas, with winds in the 113-157 mph range. Twenty-one persons died as a result of Alicia. 25 others were hospitalized and 3,094 were injured or became ill. The Red Cross provided shelter or food for 63,000 people. A total of 2,297 dwellings were destroyed and another 3,008 suffered major damage. 18,660 families suffered losses from Alicia. The $2 billion in damages made Alicia the costliest hurricane in Texas history. Some memorable features of Alicia included the final destruction of the Brownwood subdivision, a victim of subsidence, which had experienced almost annual flooding. The hurricane provided the opportunity for FEMA to “buy-out” the homes there and forego future flood insurance and disaster payments. Also, the loss of trees in the Houston area was staggering. The area had received soaking rains during the previous week and the soil was so saturated that the trees were easily blown down by the high winds. It is estimated that the trees and limbs blown down by the storm would have covered a football field to a height of 1,200′. In downtown Houston, shards of glass became deadly missiles when hundreds of window panes were broken out of skyscrapers by gravel blown from nearby rooftops. The windows were designed to withstand hurricane winds but not impact from debris. The result was huge piles of broken glass in the streets below. 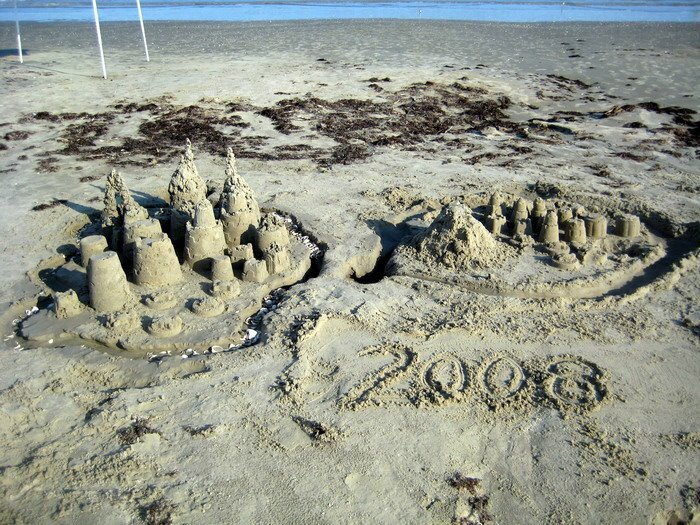 On Galveston’s West Beach, Alicia moved the public beach boundary back an average of 150′. The storm surge scoured up to 5′ of sand from the beach and left several homes in front of the natural vegetation line and technically on the public beach. 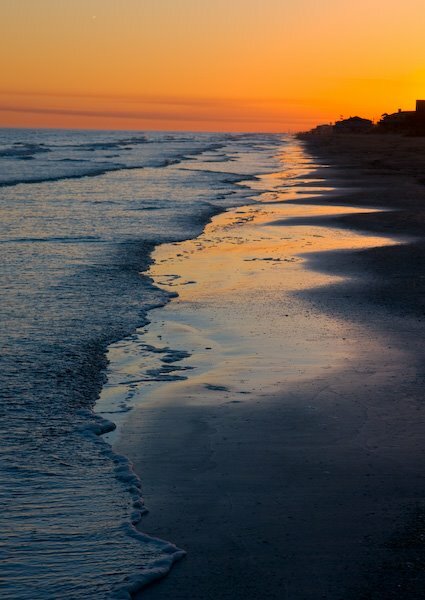 Thus, the homes were in violation of the Texas Open Beaches Act and the Attorney General’s office forebade the repair or rebuilding of those homes. The Corps of Engineers estimated that the Galveston seawall prevented $100 million in additional damage. The corps said that without the seawall, Alicia would have created a swath of destruction one to two blocks into the city behind the seawall. Although Alicia cost Texans $2 billion, it is estimated that a hurricane the size of Carla would have doubled or tripled the damage. Aircraft observations indicated that only a 60 mile section of the coast, extending northeastward from Freeport, experienced hurricane force winds. Tidbit – Although 30% of Galveston’s population evacuated the island when Hurricane Allen (1980) threatened the Texas coast, only 10% of the population living behind the seawall decided to leave when Alicia came ashore. Family Vacation Deserved a Gold Medal! It was cool and rainy off and on during our beach house, week long stay on the west end of Galveston Island, but it was a pleasant change from the 100 degree summer we have had so far this year! Quinn loved his first beach experience (he ate about 2 lbs of sand) and the girls discovered the art of boogie-boarding in 2 inch water. This year we stayed a little longer and planned to do a lot less than usual so we had more beach and relaxation time. It was so nice. We did manage to eat at Marios, have some Shipley Donuts one morning, see the Sea Turtle facility, shop the Strand, and make our way over to fun times at the Kemah Boardwalk. One of the biggest memories we will all keep was watching America kick some rear in the 2008 Beijing Olympics, especially Michael Phelps. What an amazing thing he has done, huh? Eight Golds!? Thanks to my mother, I grew up on the beach. Basically. We were there nearly every other day in the summer months during my childhood south of Houston. It was only a 20 minute drive, so it was a cheap day for us. Decades later, the drive is now 6 hours, none of us have tans, all of us have had our clothes shrink over the years and most of us hate being hot and sandy, but we still love Galveston. Next week we take off for another week of fun in the sun and I can’t wait! Bored? Want to see more kids pics and videos? Check out our website. We just did a big update! Our girls and Quinn LOVE “The Wiggles”, a group of men from Austrailia that do a children’s program. It is truly about the only thing outside of Elmo our kids even watch. 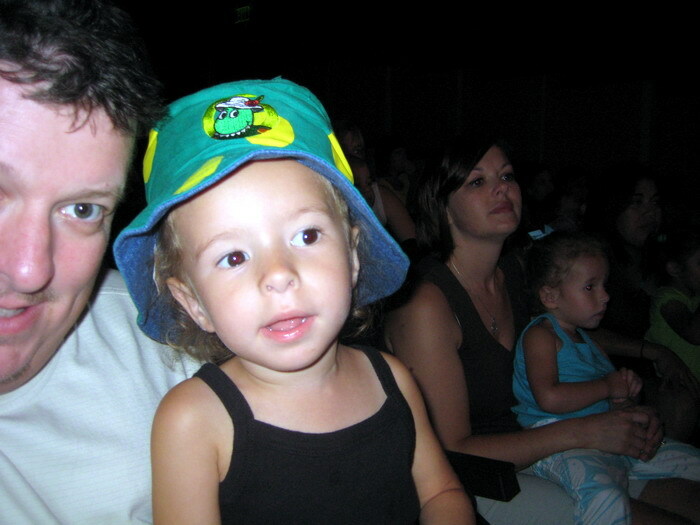 We took the girls to see “The Wiggles” in concert last week and the girls totally loved it. They danced, did the hand motions, sang and could not believe they were seeing all of their favorite characters in person. I think Julie and I loved it nearly as much (yes we know all of the songs too!). We are grateful to God for the Wiggles. 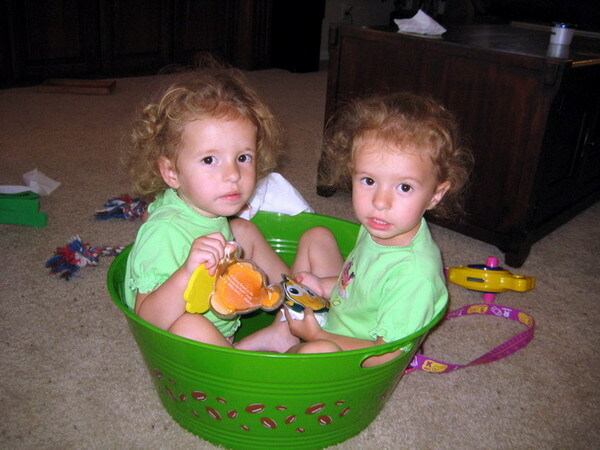 Because of them my girls could careless about Barney and I have been dreading that stupid show for years. 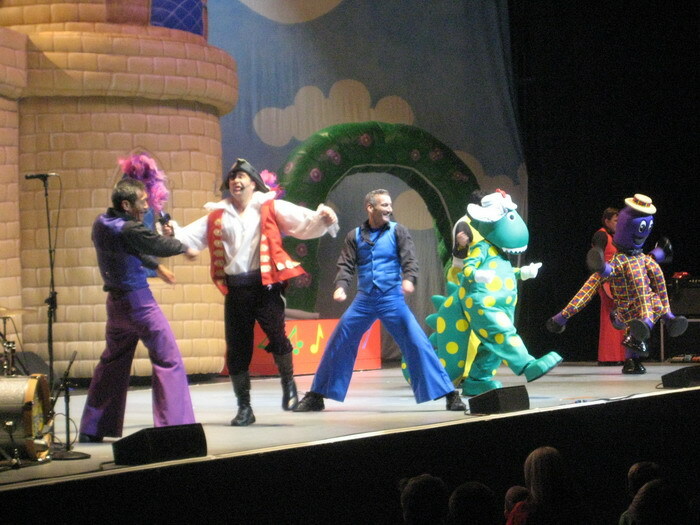 Thanks to the Wiggles there is no Barney in our house!